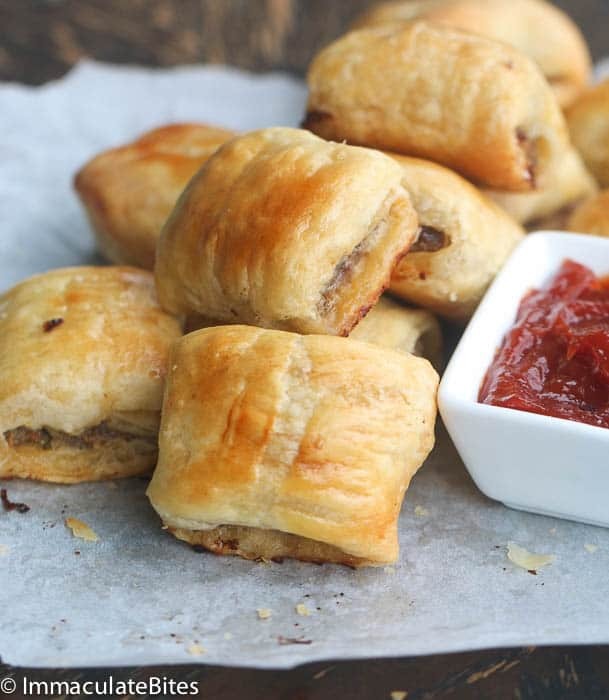 Beef sausage rolls made with puff pastry – Quick, Easy and a Crowd Pleaser . Great as a snack, appetizer or Breakfast . Are you guys ready to start entertaining this holidays. Well if you are not. 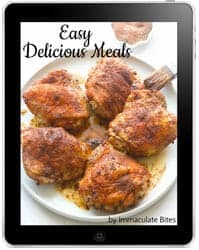 Rest assured, I got you covered with some easy, doable, tasty snacks, appetizer or whatever you call them coming. Don’t sweat it. 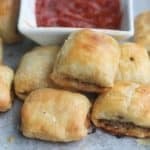 They are super easy to make with store-bought pastry- I love the pre-made pastry; you do not even have to roll them out. How cool is that? They make it so easy for you to use them. Right now is a good time to pick these up because they are all over the place. I usually get mine for 4 bucks at Trader Joe’s. I stock up because it is seasonal at some markets. You may get it at your local super market. Seriously you really can’t mess these up. Sauté the onions, garlic, thyme to let the flavors bloom. 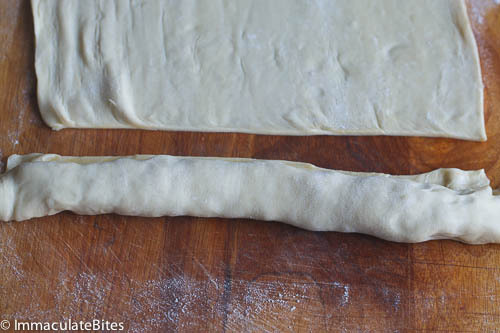 Mix with the other ingredients; roll out the pastry, stuff and bake. How easy is that? 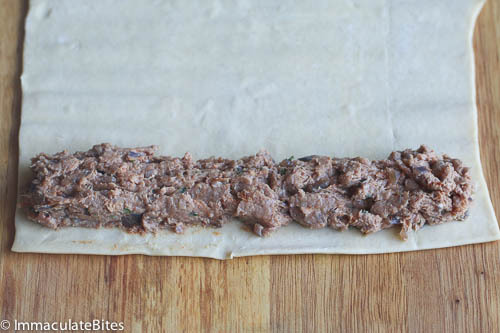 A true crowd pleaser- who doesn’t love anything wrapped in a pastry- especially ground meat? You are going to watch them disappear right in front of your eyes. Can be made waaay in advance. I have some in the freezer right now. You see, am way ahead of the game- saving time to make the last minute stuff. Very customizable. 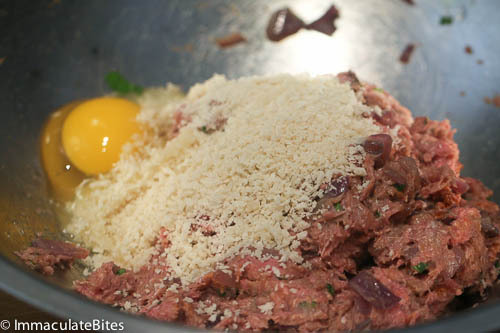 There are various types of ground meat you can use. You can purchase sausage (pork) meat (unseasoned or seasoned) from your neighborhood market. Or use any ground meat – turkey, chicken, and ground beef. If you buy seasoned sausage do not add any additional salt. The last and most important they are really cheap compared to the sausage rolls you would buy at the supermarket. Try comparing the price then you would know what am talking about. 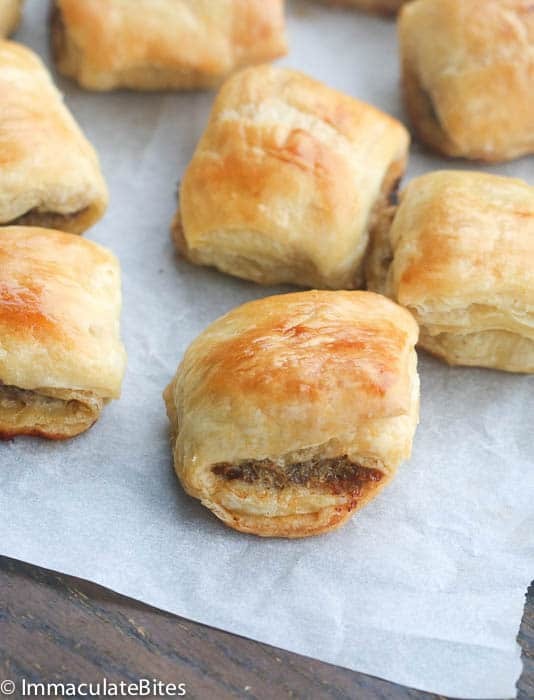 Now, if you don’t know it, sausage rolls are an Australian thing. So I am going to give you another another variation on this- I know you love variety, right? This one is made with Pork and Bacon – Do I hear bacon lovers saying AMEN! OK, It is the creation of my good friend, Nagi , an Amazing Food-blogger – her recipes are quick, easy and tasty. Her pictures is another story , it would make you literally want to lick your screen ( I confess I have done so a couple of times- Shhhhhh don’t tell anyone , our little secret) .Check it out Here! Make both and share. It’s the Season!! 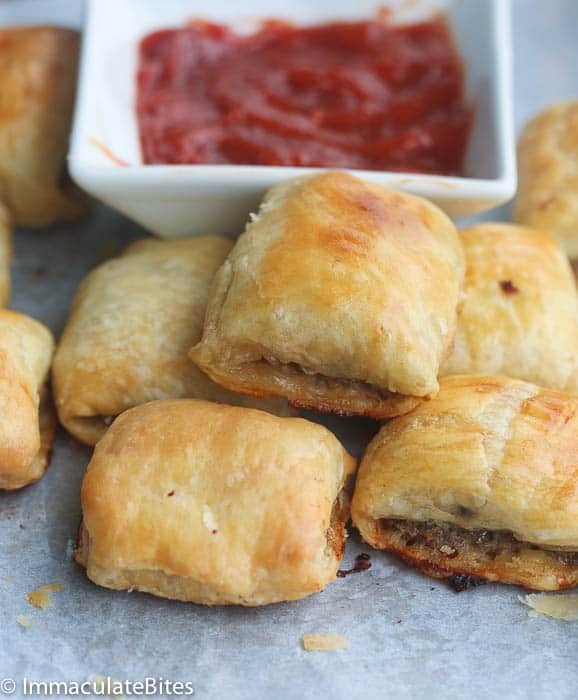 Beef sausage rolls made with puff pastry – Quick, Easy and a Crowd-Pleaser . Great as a snack , appetizer or Breakfast . In a medium saucepan, sauté onions, for about a minute then add garlic, thyme, and cayenne pepper. Stir for about another minute or two to let the flavors bloom, be careful to not let it burn. 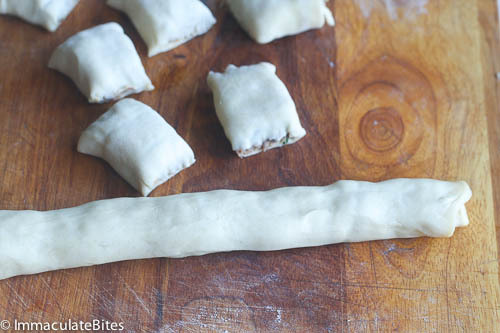 Brush sausage rolls with the remaining egg wash pastry. 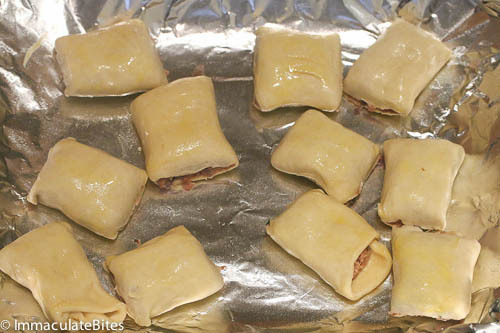 Place in the oven and cook for about 25-35 minutes until the pastry puffs and crisp up and the meat has cooked through. Remove and serve hot or warm or at room temperature. Pair with ketchup if desired. Hello from an Australian, My mother-in-law had a similar recipe. Loved them and going to try this recipe. ps I am older. How many years attest to good old sausy rolls with tomato sauce. 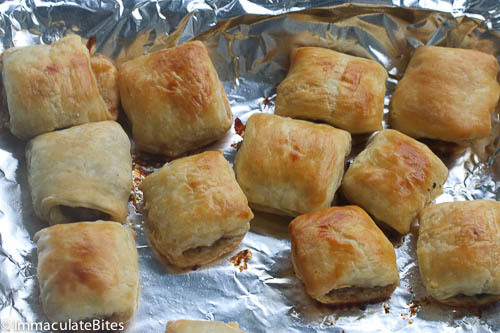 Hi, can you freeze the sausage rolls once you have made them, prior to baking and then bake them at a later date? Hi Todd. Yes, you can make them ahead. 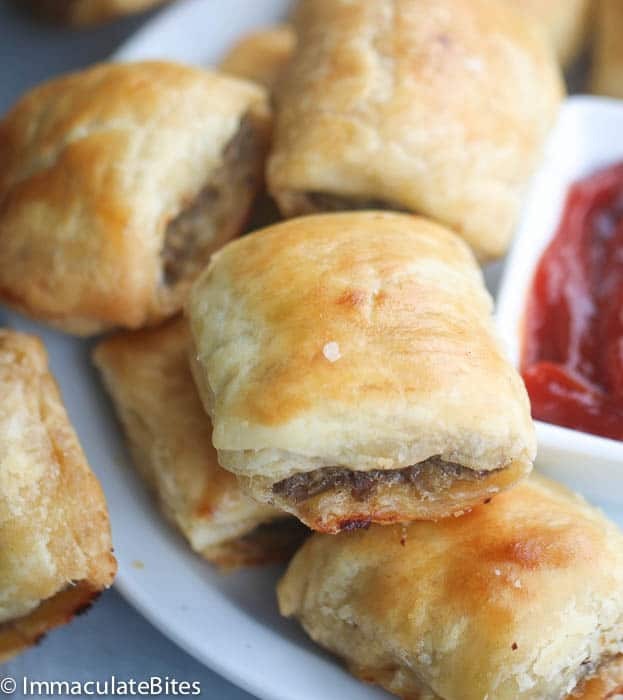 Place uncooked sausage rolls on a baking pan in a single layer and freeze. When frozen,remove them and place in ziploc packages and store in the freezer for up to a month. Is there a dipping sauce? You can use a honey mustard dipping sauce . Will be posting one soon. This was very good. I didn’t have beef so I used pork instead. Thank you for the wonderful recipe. These look fantastic. I have my mixture made and waiting for my pastry to thaw. It’s going to be dinner tonight! Thanks for the great tips and pictures. You’re most welcome, Jessie. It makes a lovely dinner indeed or as an appetizer. Enjoy! 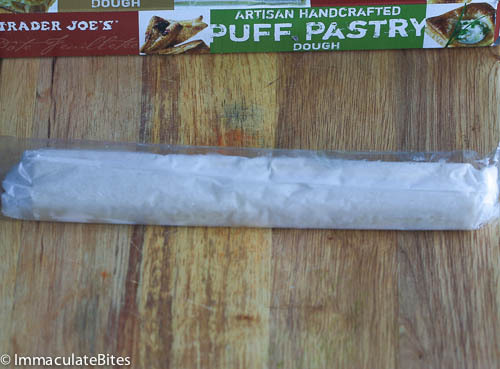 Where can I get the puff pastry from? You can buy them in the frozen aisle in supermarkets. It’s store bought dough. I don’t have a recipe for it. Any left over stewed/slow cooked/casserole dish mashed up and cooked dryish makes a great filling. I used left over rooibok poitjie. Obviously if the filing is cooked it only needs 15 – 20 min in the oven. Awesome! Thanks for taking the time to share this with us. You rock Teena! You sure can. Tightly wrap. I didn’t see on oven temp on the recipe. What temp do you usually cook them at? Hi, in the method of preparation, you add egg after breadcrumbs but the egg you listed in the ingredients you said is for glazing. Can you please clarify? Pls ma,about the sausage used -is it the same as hotdog? No, it is not the same- you can use ground beef or pork. Couldn’t find ready made puff pastry. Sorry to hear about that kelsey. It is usually located in the frozen section. I know most super markets have them especially this time of the year. 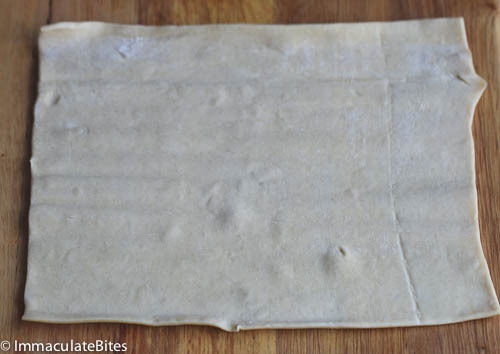 The meat pie dough could make a good substitute. Imma! Thank you for the shout out!! I love that between you and I, we have both bases covered 🙂 Sometimes I prefer beef over pork because I love the flavour of beef more, to be honest! I tried beef with bacon once and it wasn’t as good as with pork. So I’ll be keeping yours as my “go to” beef recipe!! Oh, and the funny thing is that my next post is inspired by YOU!! So keep an eye out 🙂 You’ll see a familiar recipe name!! Denise, I had to hide these from my son – he wanted this for breakfast , lunch and dinner. Indeed… This would be a great breakfast or snack for the holidays. My children would eat one after the other! Didn’t see bacon on the list. Do you fry it first before adding? What is the quantity ?